Performers include: Melissa Benoist, Calista Flockhart, Chyler Leigh, Mehcad Brooks, David Harewood, and Jeremy Jordan. An action-adventure series, this TV show is based on the Supergirl character that first appeared in DC Comics publications in 1959. Thanks to the help of her parents, pre-teen Kara Zor-El (Malina Weissman) escaped their doomed homeworld of Krypton by being sent to Earth. She is the cousin of Kal-El (Kevin Caliber) — better known in adulthood as Superman. On Earth, Kara is raised by a pair of foster parents, scientists Jeremiah and Eliza Danvers (Dean Cain and Helen Slater). She keeps her super powers a secret and often feels like she’s living in the shadow of her foster sister, Alex (Jordan Mazarati). As a 24 year old woman, Kara (Melissa Benoist) makes her home in National City and works as an assistant for Cat Grant (Calista Flockhart), a fierce taskmaster and the founder of a media conglomerate named CatCo. Working alongside Kara are friend and IT technician Winn Schott (Jeremy Jordan) and renowned photographer James Olsen (Mehcad Brooks). The latter has recently been poached from his job at The Daily Planet newspaper in Metropolis to serve as Cat’s new art director. Kara manages to keep her Kryptonian abilities a secret but is ultimately enlisted by Hank Henshaw (David Harewood) — the head of a super-secret agency where her scientist sister Alex (Chyler Leigh) also works. Kara’s needed to help them protect the citizens of National City from evil forces and becomes a force for good like her cousin. She becomes Supergirl. What do you think? Do you like the Supergirl TV show? Do you think it should be cancelled or renewed for another season? Supergirl: Season Three; Will Calista Flockhart Be a Series Regular? 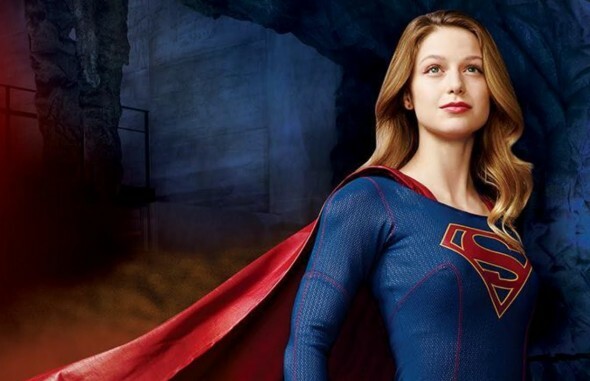 WE LOVE SUPER GIRL here in Indiana I’m 68 our youngest is 21 and ALL 6 of us WATCH IT ALL THE TIME, CAN’T WAIT for it to come back on for the NEW SEASON..